I’ve been on a bit of a World War I binge lately. In addition to my own at-home reading (most recently a book on naval battles of the First World War and a biography of Colonel Edward M. House, Woodrow Wilson’s closest foreign policy advisor during and immediately after the war), in recent weeks I’ve blogged about World War I aerial reconnaissance, Army nurses, and Stars and Stripes, the doughboys’ newspaper. Maybe it’s because of the recent death of Frank Buckles, the last American veteran of the Great War, or because in another three years we’ll be hearing about the centennial of the war’s outbreak. Given that “the war to end all wars” kicked off what many historians view as one war that lasted from 1914 to 1945 with a 20-year intermission, that its repercussions still echo today, and that it was fought on or near every continent, I find the subject to be one of endless, multifaceted interest. Because Americans tend to focus on such incidents as the sinking of the Lusitania, it’s easy to forget how deadly a weapon the German U-Boat was on an ongoing basis and how close it came to success. 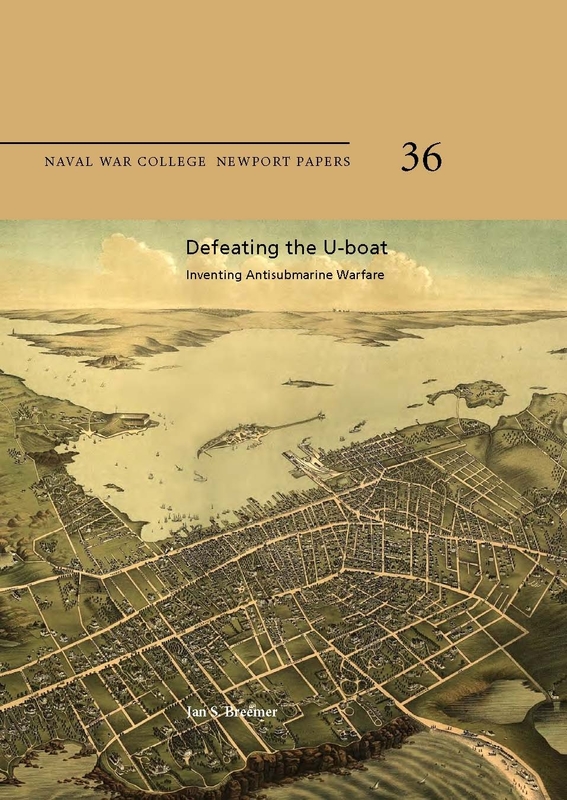 According to Defeating the U-boat: Inventing Antisubmarine Warfare, a new book from the U.S. Naval War College, after a meeting between U. S. Rear Admiral William Sims and the Royal navy’s Admiral of the Fleet Sir John Jellicoe in which the struggle against the U-boats was discussed, Sims cabled Washington to say “briefly stated, I consider that at the present moment we are losing the war.” A major part of the problem was England’s utter unpreparedness to fight an anti-submarine war. This was partly due to the belief that no “civilized” nation would engage in unrestricted submarine warfare, i.e. firing torpedoes at non-military vessels without warning and making no effort to aid or pick up survivors. After trying anti-submarine patrols, “barrages” or barriers in the Strait of Dover, mines, and the employment of Q-ships (freighters and other civilian craft with concealed/camouflaged guns that could snag U-boats playing by the old “fair warning” rules), it was the development of the convoy system that proved most decisive. Yet such was the ambivalence of many officers (and even Winston Churchill) about the “defensive-mindedness” of convoys that even in World War II it took far too long for Allied navies, including the American navy, to use the convoy against Nazi U-boats. Defeating the U-boat is a neat little book that’s readable and furnishes a lot of useful information very concisely. It would be a great asset to any World War I buff’s collection. You can read it here, get that copy for your collection here, or seek it out at a library.